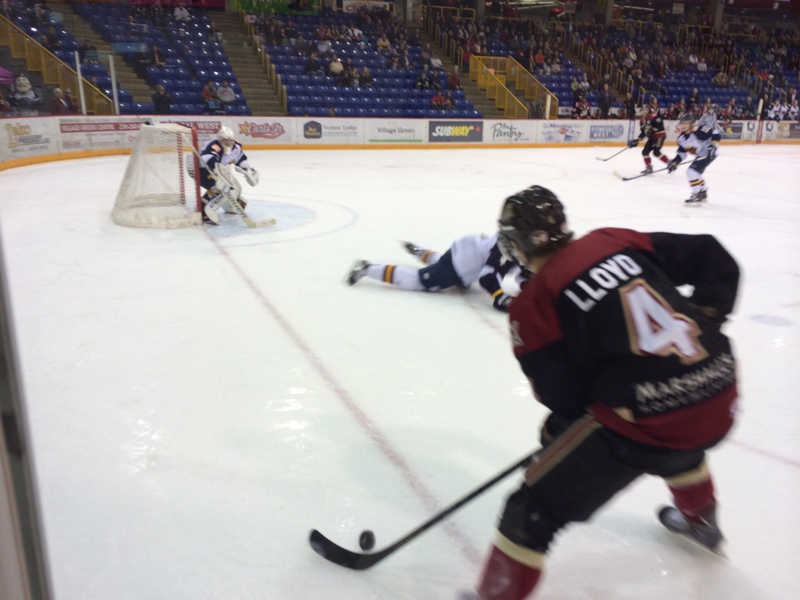 The Vernon Vipers advanced to the second round with a 5-0 game six win on Tuesday. After scoring the first goal midway through the first, Vernon just slowly pulled away, using strong special teams and continued physicality to clinch the series. Starts have been an obvious key in this series, and the Warriors really did have an outstanding start to this game. Re-injected into the lineup, Seb Lloyd had a couple of wonderful chances, including one that caught the outside of the post. West Kelowna forced the issue for the first 6-8 minutes of play, but was unable to score that all-important first goal. 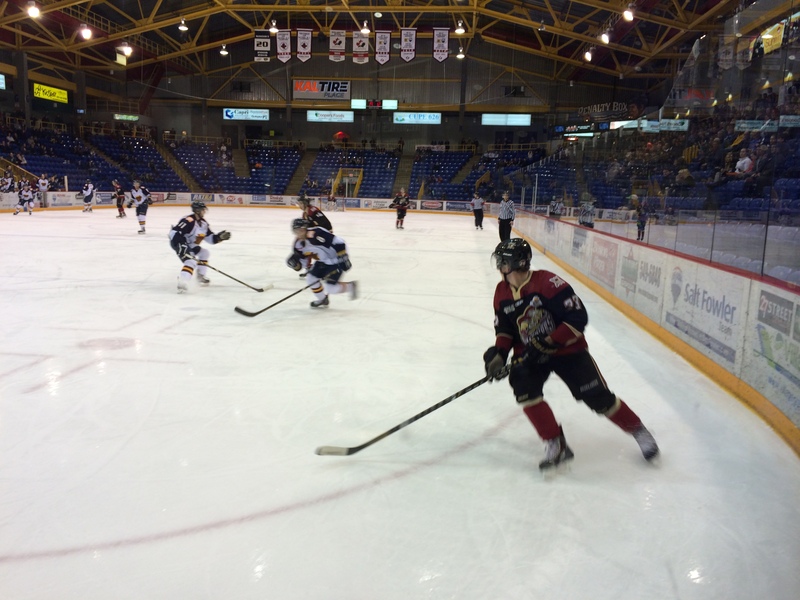 Vernon would soon take over, and the Vipers dominated the second half of the opening period. Brett Mulcahy (who else) then opened the scoring when drove to the goal-mouth and seemed to chest a Colton Sparrow rebound past Cody Porter. Midway through the second period, the Warriors got their first chance to go to work on the powerplay. However, the Vipers were solid on the PK and scored soon after when the Warriors made a bad line change and Michael McNicholas fed Brendan Persley for a tap-in. And give Vernon credit, as the Vipers continued with the elements that had earned them a series lead – like physical play, aggressive forechecking, and smart neutral-zone posturing. The Warriors had some good traction. They worked hard, and strung together some strong shifts. They had a few good scoring chances. They kept battling everywhere on the ice and never gave up. However, the Snakes gradually pulled away. A tally late in the second period from TJ Dumonceaux put Vernon up 3-0, and third period strikes from Liam Coughlin and Persley (his 2nd) gave Vernon an insurmountable lead and a countdown to the second round. The Vipers also protected Austin Smith as vehemently as they had all series, earning a game six shutout for their netminder and a comprehensive series-clinching victory. Congratulations to the Vipers on an extraordinarily hard-fought series win. That really was something else to watch. The Mulcahy/Sparrow/Persley line deserves a ton of credit for their play all series long, while Vernon’s blueliners lived up to every inch and pound of their hulking reputation. The Vipers are the definition of ‘tough to play against’ and will be a handful for Penticton and anyone else they face this year. As for the Warriors, the group continued to battle despite injuries, fatigue, and all kinds of adversity. And call them excuses if you want, but injuries were unquestionably a big story of this series. Lloyd checked back in for game six, but Ryan Ivey was back on the shelf. Adam Plant, Taki Pantziris, Jordan Masters, Andy Desautels – all out of action. And others, like Jason Cotton and Ryan Fraser-Lee (the list is long) were playing when they really shouldn’t have been. I have so much I want to say about this group – so I’ll just leave it at that. For now. At some point in the next couple of days I’ll return to recap the season and offer some final thoughts on what I saw from this club this year. But it sure was tough watching some incredible young hockey players and outstanding young man play their final shifts as Warriors. *** It’s tough to interview these guys after their final games, and even tougher for them to try to articulate how they’re feeling. But – click here to listen to my post-game interview with Reid Simmonds. Click here for Ben Tegtmeyer. As well, I ran this pre-game interview with Seb Lloyd during the first intermission of game six.